Why Is This Simply The Best Thing That's Ever Happened... Ever? ARE YOU SAYING THIS SATELLITE REJECT ISN'T ACTUALLY A SATELLITE REJECT?! 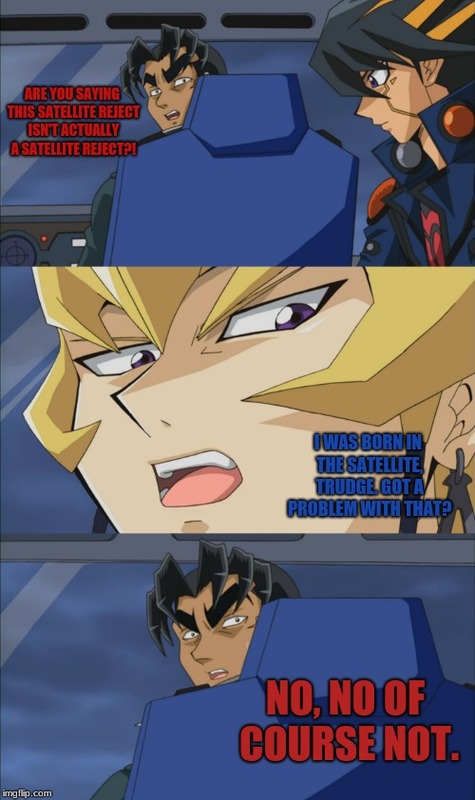 I WAS BORN IN THE SATELLITE, TRUDGE. GOT A PROBLEM WITH THAT? NO, NO OF COURSE NOT.